If you are charged with a criminal offense, it is bound to affect your reputation and your integrity. An indictment or an investigation against you is not something you should take lightly. If the matter goes to court and you are convicted, the punishment could be community service, a hefty fine or a number of years in prison. Clearly, you do want to take any chances and this is why you should get in touch with an experienced and reliable criminal defense attorney. The Law Firm of Michael Vereen III is the right choice for you if you are facing criminal litigation. 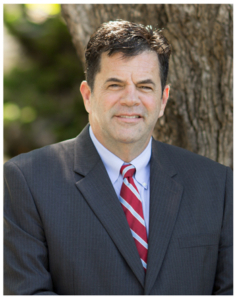 Michael Vereen has over 30 years of legal experience so you are in excellent hands. This legal expert is not just experienced. He is competent and committed to all his clients. You can be sure he will stand by your side and ensure that all the charges against you are dismissed. Michael Vereen Law Office handles both misdemeanor and felony cases. This law firm also handles certain juvenile cases and most of these cases have only one outcome. The clients of Michael Vereen receive minimal punishment or the charges are dropped entirely. Attorney Michael Vereen III is well equipped to defend a large variety of criminal charges. Michael Vereen has one unique quality: he is committed to giving his clients individual attention. This is why he takes time to work out an effective defense strategy for every client. 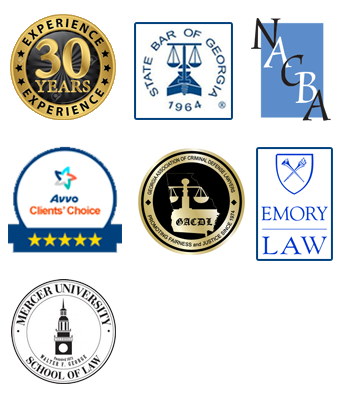 The result is a track record of success that has made our law firm respected in the Atlanta area. In some cases, you may not know exactly what to do if you are facing criminal charges. You might be tempted to defend yourself or accept the plea bargain offered by the District Attorney’s Office. In every legal scenario, we always offer our clients the best advice. It is better to be safe and you can only be safe if you consult a legal expert with the expertise and experience to help you. The law has complex twists and turns and since you are not an attorney, you are not equipped to defend yourself in court. Even if you are just under investigation, the smart move is to discuss the matter with a competent attorney. This expert will give you the best advice on the right course of action to take. Why choose us over a public defender? A private attorney will work for you alone and concentrate on your case. In addition, a private criminal lawyer is likely to have the time and resources to do a great job for you in court and out of court. On the other hand, a Public Defender many be overworked and relatively inexperienced. Again, if you have a steady income or a relatively high income, you may not qualify for a state-appointed attorney. If you are facing a criminal investigation, you do not have the luxury of time. You do not even have to wait until the matter goes to court before you contact an experienced attorney. Get in touch with a competent legal expert immediately. Michael Vereen III is the perfect choice for you because this attorney treats all his clients with the dignity and respect they deserve. He will listen to the facts of the case, ask you relevant questions and get all the information he needs to defend you in court. Michael Vereen will fight for you every inch of the way and work to secure a favorable outcome for you. Do not put your future at risk– Get in touch with the Law Office of Michael Vereen III immediately. Better still; call 770-886-3435 to discuss your case with an Atlanta criminal defense attorney.